Anyone sniffling and sneezing from seasonal allergies? It’s time to pull out my ceramic neti pot, fill it with warm salty water and soothe my sinuses. Use of neti pot has been practiced for hundreds of years in India. Also known by a more clinical name as nasal lavage (I prefer neti) a saline solution washes dust, pollen, mucus gently from the sinus cavities as well as hydrating Sound strange? It is, the first few times I attempted this I was very worried that it would be uncomforatable, like getting water up my nose from swimming. What I can tell you is that now it feels great, I can’t wait to get to it when I have allergies, the beginnings of a cold, post-nasal drip or have just returned from a long day in NYC or a long and dehydrating plane trip. You can find neti pots online and often in your local natural food store. Here is a youtube demonstrating how to use! There are numerous video’s- wish they were around when I was fumbling trying to figure out how to use it. You do ot have to use special “neti” salt, just finely ground sea salt with no additives is fine. I have my Nikken Air Power 5 Pro right next to my bed every night. I run it 24/7. 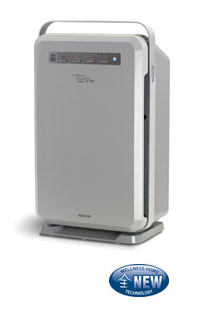 It senses pollutants and changes speed to accommodate dust and voc’s. Research shows that negative ions have a positive effect on our health. Negative ions also clean and allow our internal environment to perform better. Negative ions neutralize positively charged pollutants in the air. Now that California is banning the use of air filters with ozone, Nikken stands alone as the air filter with a patented and safe process to create healthy negative ions.